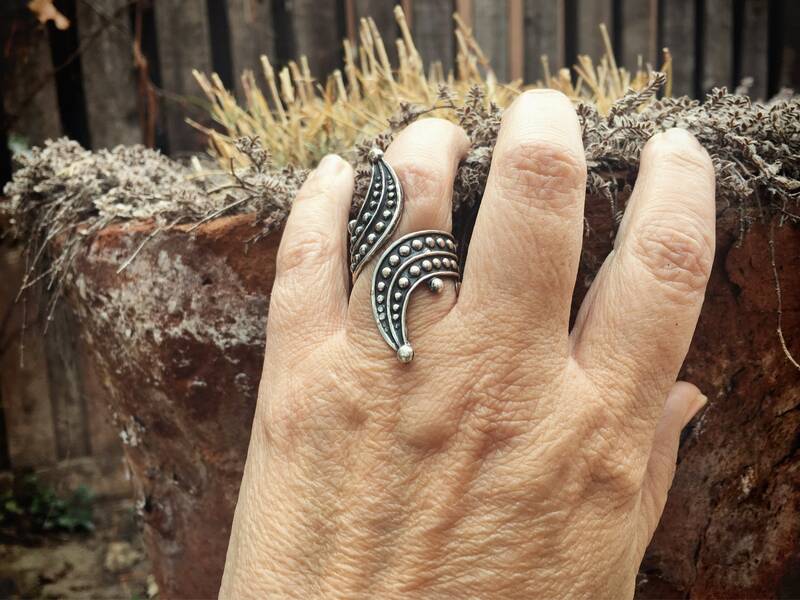 I purchased this Modernist wraparound ring in an antique store in Mexico, drawn as I was to the strong profile of the ring. 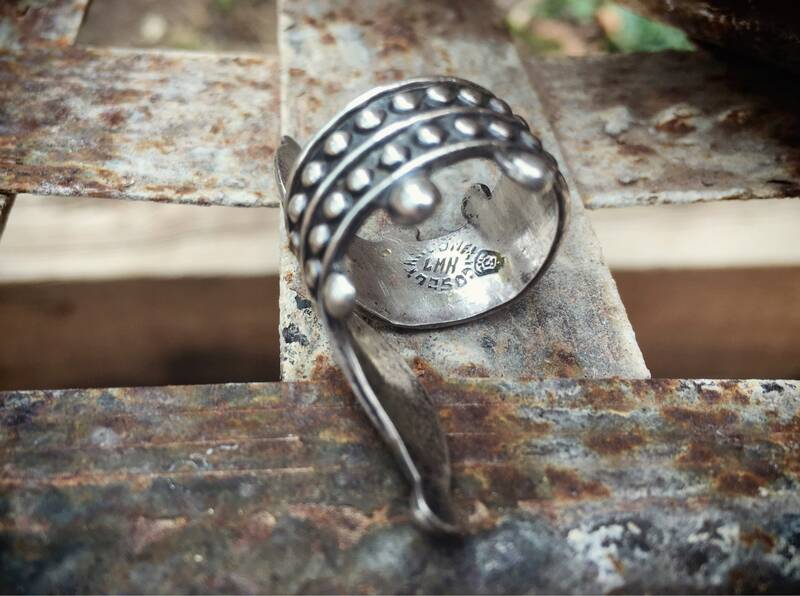 It carries the hallmark of a Mexican jewelry workshop or silversmith that goes by the initials LMN, although I can't be certain those are the initials. 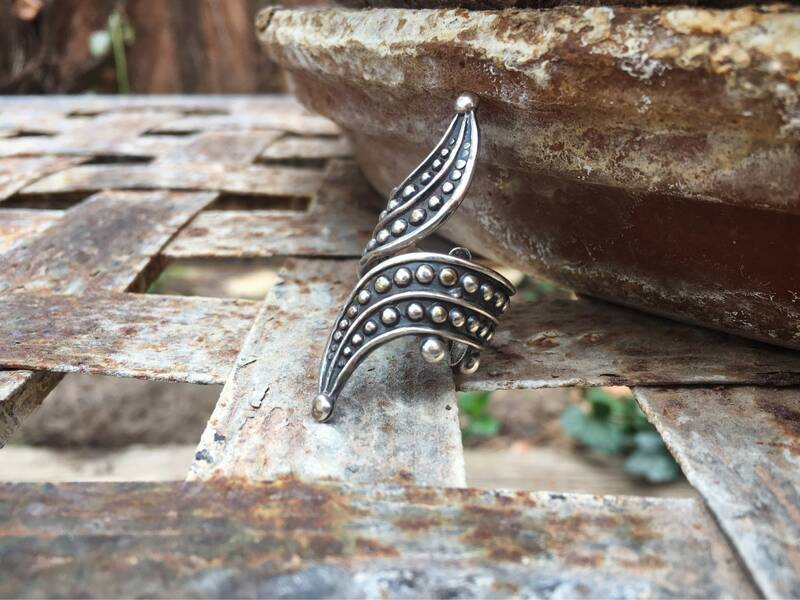 The ring is made of a series of small silver dots set upon an oxidized plate, somewhat narrow, that wraps around the finger and ends in two tails, one going up and one going down in the different directions. There is space between the two, and the ring is slightly adjustable because of that space, but I would not try to open it up much wider. It cannot be closed any tighter. The ring is about a size 7.75. 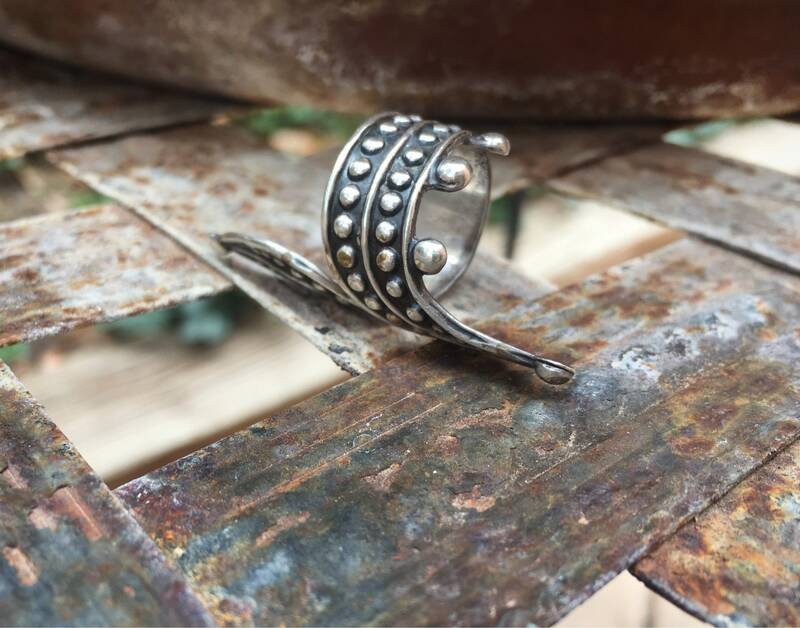 The band on the back side measures just under 3/8" and over 1/2" if you include the silver dots on either side. The front of the ring measures 1-3/4" long from tip to tip. In good vintage condition. 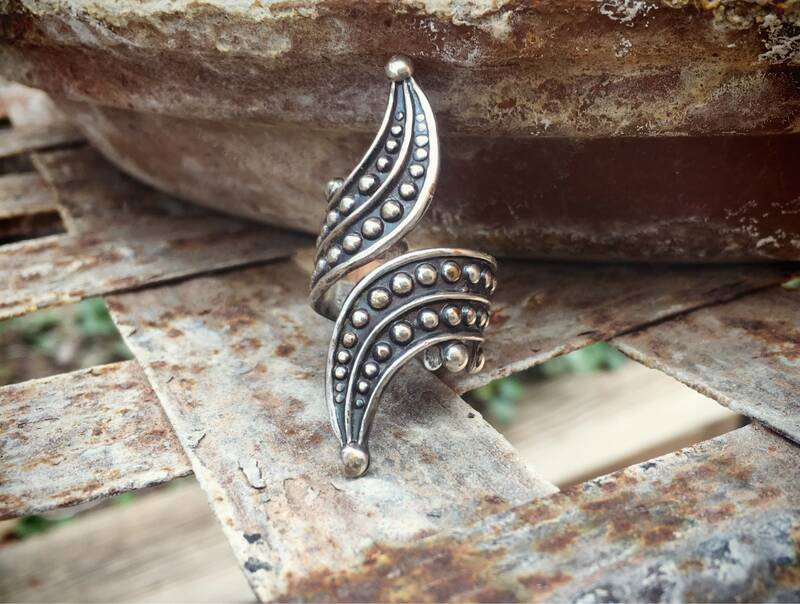 A ring that will make the artist in you feel joyous!